Excerpts from Wikipedia: Huffy Bicycles had manufacturing and assembly facilities in Azusa, California (closed in the late 1970s), and Ponca City Oklahoma (closed in the early 1980s), but largely manufactured most of their bicycles in Celina, Ohio, and at one time was Celina's largest employer. At their peak, the bicycle division manufactured over two million bicycles per year and were the free world's largest bike company. 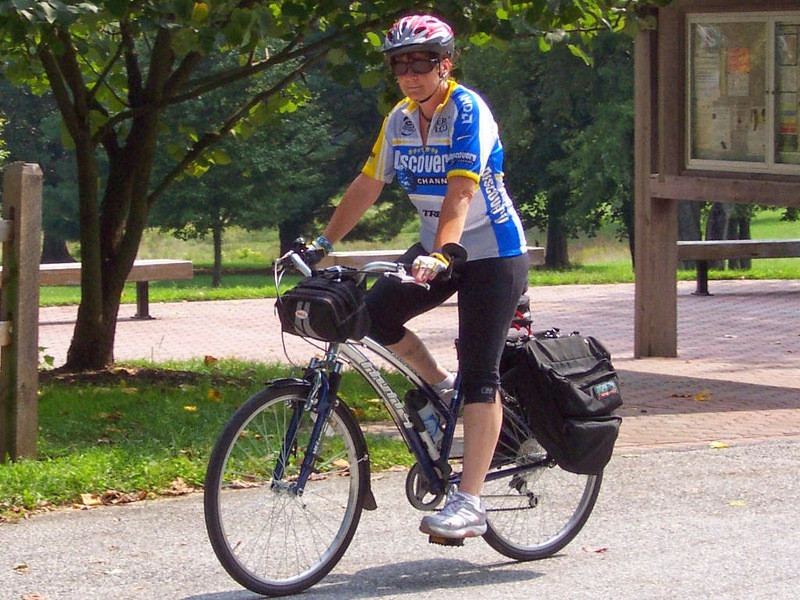 Angela Connolly, riding her 2003 Huffy Prospect - made in China. 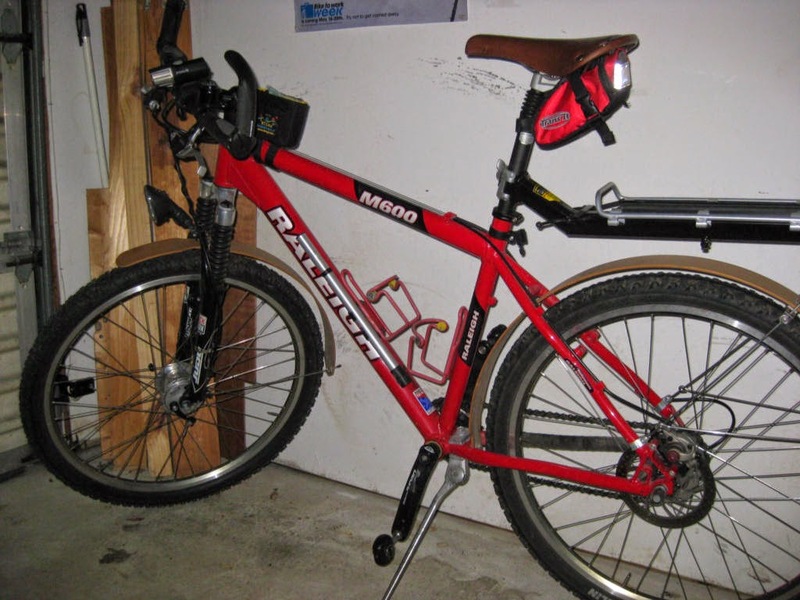 By the mid 1990s, Huffy was in deep financial trouble. The U.S. Bicycle industry had consolidated, sharply reducing the number of channels for selling bikes. High-volume retailers had claimed three fourths of the U.S. market, gaining tremendous leverage over bicycle makers. Wal Mart in particular was pressuring Huffy: it ordered 900,000 bikes at one time, but insisted that Huffy lower its prices significantly. To remain a major player in the bicycle market, the Ohio company had little choice but to agree. Even with Huffy's other non-unionized manufacturing plants, it could not make a profit selling bicycles at the prices Wal Mart, its biggest customer, was willing to pay. After requesting and getting a pay cut for its unionized workforce in Ohio, Huffy returned to profitability for two years only to again crumple under the pricing pressure applied by Wal Mart. 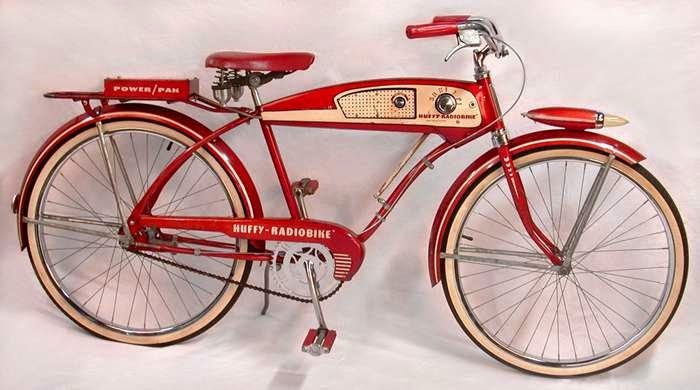 This forced Huffy to close its Celina, Ohio plant and lay off all 935 employees. Their other two factories in Missouri and Mississippi soon fell to the same fate for the same reason. Even after subcontracting production to China, where plant workers earned only 25 to 41 cents per hour, it remained unable to operate at a profit. Poster's note: Well, there you have it, folks. Check out Big Box Swindle for more details. 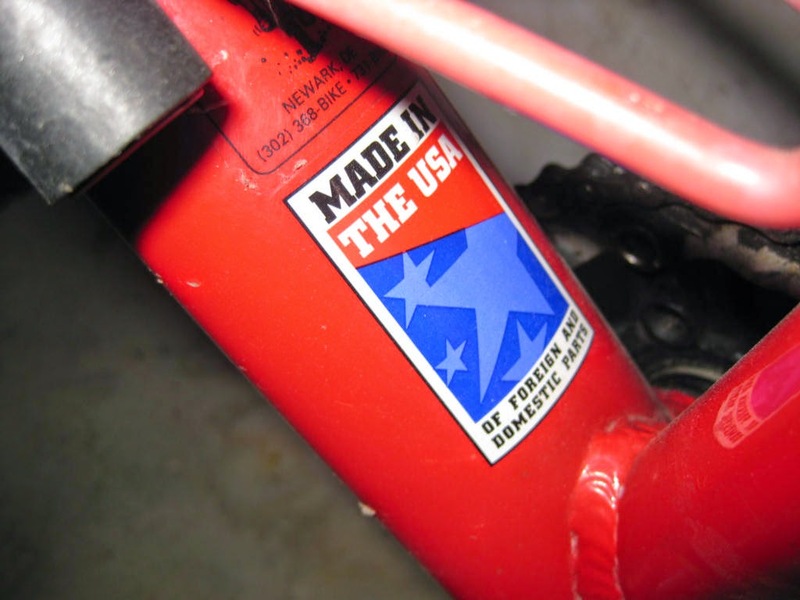 In 1998, Huffy Corporation produced the high quality M600 Mountain Bike for Raleigh, the frame manufactured here in the USA. It was a last gasp effort at solvency before collapsing under pressure from Wal-Mart. Hundreds of American jobs paying a living wage were swapped for poverty class wages in China. How to register a company https://www.sfconsultingbd.com/ This is a great inspiring article.I am pretty much pleased with your good work.You put really very helpful information. Keep it up. Keep blogging. Looking to reading your next post. Hey, it's always sad to know about someones degradation. Every corporation have had to face such situation when they had fallen into financial crisis. Huffy bicycles financial crisis was the sole reason for their collapse and it was obvious for them to be sold to the Chinese-owned company. But since then, bicycle industry have tremendously improved and their are many premium quality as well as cheap bicycles like best performance hybrid bikes available in the market from different manufacturers.